So, this week Social Media Examiner promoted an article in answer to the business cry that Facebook isn’t working any more. In that report they spoke of the dying Facebook Reach and Facebook Engagement metrics that businesses are struggling against. The author brings up some interesting statistics around Facebook use. Well, do you always like to be sold at? How do you feel when you are casually walking past a store & they constantly yell out to you to buy their products? Have you ever been to a produce market with all the vendors yelling out their specials? It’s overwhelming; especially if you are just passing through on your way elsewhere. Now what if instead of selling at you they were helping you? What if they were reaching out to you with helpful ways to use their products, showing you their fans, or pairing them with an inspirational quote? Not as abrupt is it? Consider what you like to see on Facebook, is it constant selling, pretty pictures, inspirational quotes, recipes, friends, jokes… now consider if your ideal client is any different? I firmly believe that businesses have forgotten that social media is SOCIAL by definition. We use social media to connect with others and that includes brands. As a brand you want to be building on that connection, not alienating it. How do you grow a client connection? It’s not unlike growing a friendship, expect in this instance you have a head-start. Start with knowing who you want to have as the perfect client. Work out their wants, desires, fears, and goals. Yes you need to get inside their heads, but if you don’t know who they are, how do you expect to become friends with them – you need to know their likes & dislikes, right? Back to the article, the author then suggests posting different types of content: links, videos, infographics (though research shows that images win hands down). They also suggest including emoticons to help build the relationship. You might have noticed that I am mentioning that you ‘build the relationship’. This is not some “just add water” phenomenon. You can’t assume that you will instantly have hundreds or thousands of followers. While you can buy followers, this is what is called a vanity metric. What’s a vanity metric? It’s one that is vane, it provides little value but to impress others. Let’s face it, while big might be better in some instances – isn’t it how you use it that counts??? Growth is hard, it’s three steps forward & one step back (and that’s just personally). Facebook pages are no different? How do I know, I’ve been growing one now for over four years and it’s a long slog. While I have thousands of followers, the one thing you should know is that on average 80-120% of my followers see my posts. Yes, you read that correctly – sometimes their friends will see it. Why is that? I am not constantly selling. I know who they are and what they like to see in their Newsfeed & I give them that. I chat with them & show them that I care. I have built a relationship. Why is that important? Well, when they are looking for a product, I’m the one they turn to. Here’s a secret the author & I share, we post when the followers are on. Sure it can be noisy, but if that’s when the majority of your viewers are on Facebook better they see you than your competitor. While the author suggests two key times (midday and around 7pm), I don’t stick by these hard and fast rules. In fact, while some of the pages I manage have these exact times – just as many don’t. I always suggest you check your page Insights for the most popular days & times to post. Want to know more? 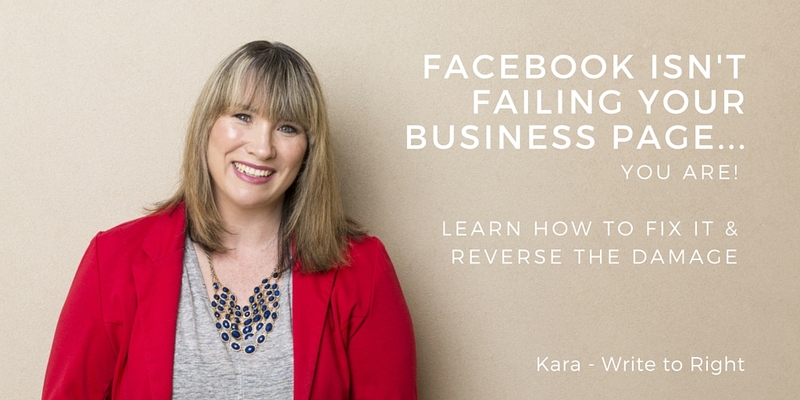 You can organise a free consultation to go through some other tips to get your Facebook page rocking or enrol in my course and grow to a whole other level. Help! I have analysis paralysis! Ever felt stuck? Ever felt stuck in making a decision? Ever felt stuck taking the next step? Ever heard of the term analysis paralysis? It’s being stuck & unable to make a decision. It’s a dead zone. It’s dark and lonely. It’s full of fear. It’s a place I know all too well. 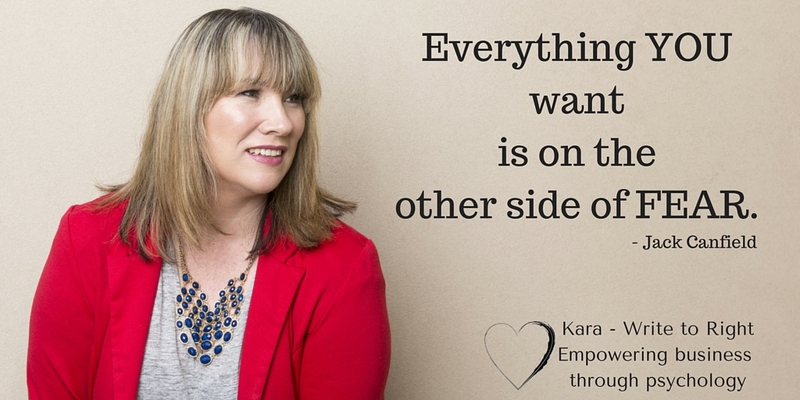 While I have grown, both as a person & as a business, over the past year – I still get stuck. I get offered great opportunities and I have to push myself through. When greeted with new adventures, I seem to teeter at the cliff-face (even though I have a parachute). I feel as though my feet are set I cement and I can’t break free to step forward. You see, I am afraid of success & analysis paralysis keeps me from making a decision (or deferring them to others) & keeps me safe. Failure is familiar, expected and success seems unnatural. So I defer decisions, I sit on options & I stay safe. I want to be safe & I want to be successful. Can I have both? Do I deserve both? What will happen if I get them? What will I lose? All of these thoughts run around. All toying with my dreams. All keeping me stuck. What to do? When my husband teeters I say to him “JFDI”, when my children teeter I say “What’s the worst that can happen?”, when clients teeter I say “But what do you want to achieve & what do you have to do to get there?” So why can’t I take my own advice? Why do I let the fear of success hold me from my dreams? Why do I keep me from being the best I can be? While I don’t play small, I feel that I am holding myself to the familiar. As I write this I know that 2016 has some massive opportunities. I know that my parachute is packed, checked & secured to my back. I’m scared, but I think it’s time I took a leap of faith in me. You see, 2015 was the year of growth. I need to remember that as it comes to a close. Growth isn’t always easy, kids have growing pains, and I think these are mine. These are the last big tethers holding me back. I need them cut. I need to cut them. Am I worried if you will catch me, a little; but what if I don’t need you to stand at the bottom waiting for me to fall? Wouldn’t I rather you watch me soar? Wouldn’t I rather have you fly with me? Who says I will fall? And who are they to say that? Is it their path? Is it your path? No, it’s mine, it’s scary & I don’t want to walk it alone. So if you’re game, will you join me?